Lamborghini CEO Winkelmann says sales at his carmaker are down 30%. 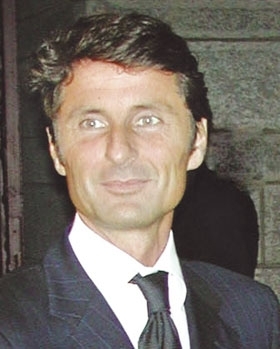 PARIS (Reuters) -- Luxury sports carmaker Lamborghini sees no recovery in its markets until 2011 after a 30 percent drop in sales in the first five months of this year, CEO Stephan Winkelmann said on Wednesday. Still, first-half figures would be positive, and the company, based in Sant'Agata Bolognese in central Italy, would achieve a full-year pre-tax profit, Winkelmann told the Reuters Global Luxury Summit here. "We could stay profitable with sales that are dropping at 40 percent (in 2009). We are foreseeing a scenario that is staying on the same level next year and coming back in 2011," he said. "I'm prepared to face another tough year in 2010." 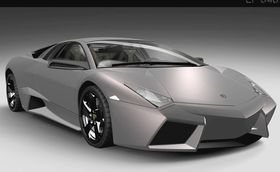 Lamborghini was founded in 1963 by Italian Ferruccio Lamborghini. It is now a unit of Audi AG, which is owned by Europe's biggest carmaker, Volkswagen AG. Lamborghini sold 2,430 cars in 2008 at prices ranging from 170,000 euros to 360,000 euros (about $240,000 to $507,000), Winkelmann said. Its biggest market is still the United States despite a fall in sales of more than 40 percent there in the first five months. Winkelmann said he expected China to overtake Italy as its second-biggest market in the next three to five years, up from ninth-biggest last year. Lamborghini boosted pre-tax profit by 27 percent in 2008 to 60 million euros on revenue up 2.5 percent to 479 million euros as it cut costs. Winkelmann said the company had cut production by 30 percent in line with the sales fall this year. But even so, waiting time for deliveries had fallen to six months from over a year. Lamborghini has agreed to cut emissions from its cars by 35% over the next six years. Lamborghini is in "constant dialogue" with its suppliers to help them "bridge a difficult situation," Winkelmann said. It has temporarily laid off workers for seven weeks in total so far under an Italian state-supported scheme. "We are in the middle of the line between suppliers and dealers and we also have to deal with the unions," he said. The company has lost customers in real estate and investment banking markets which have been hit very hard by financial market turmoil and the credit crunch. "I think the crisis is very deep," he said. But many customers were simply postponing purchases as the decision to buy a Lamborghini was emotional and financial. "You buy it because it's a dream," he said. But even Lamborghini must cut carbon emissions to comply with European Union targets. It has agreed an individual target, because of its small size, to cut emissions from its cars by 35 percent over the next six years. The average car produces 150 to 160 grams of carbon dioxide per kilometer while the average Lamborghini produces more than 400g/km. The EU's target for most carmakers is 120g/km by 2012.